2019 Vacation Bible School June 24 - June 27 morning sessions to be announced! 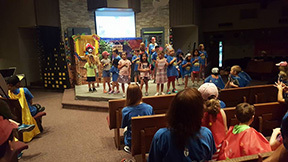 If you would like to donate to our Vacation Bible School program just click the donation button. Thanks so much for the blessings of your help and support! Can't wait to hear from you!